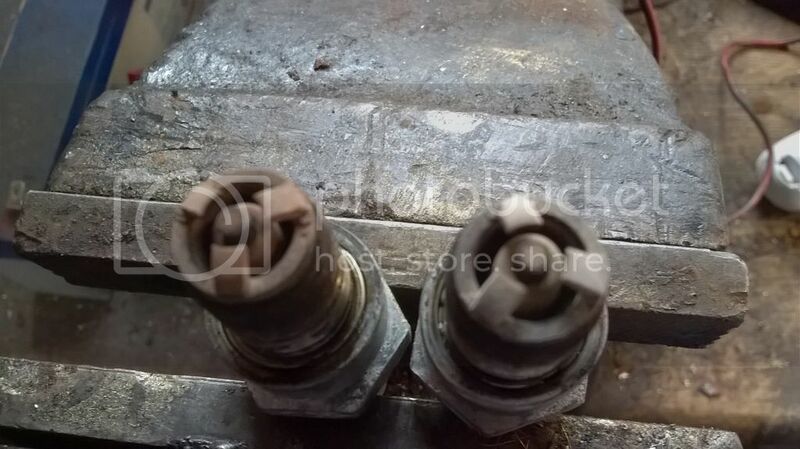 Removed my 2 NGK Leading plugs to check & clean & found that the rear plug was a lot lighter coloured than the front which I think shows the rear is running a lot hotter than the front, any suggestions? Both the trailing are the same normal golden colour. Re: SPARK PLUG Electrode Colours? 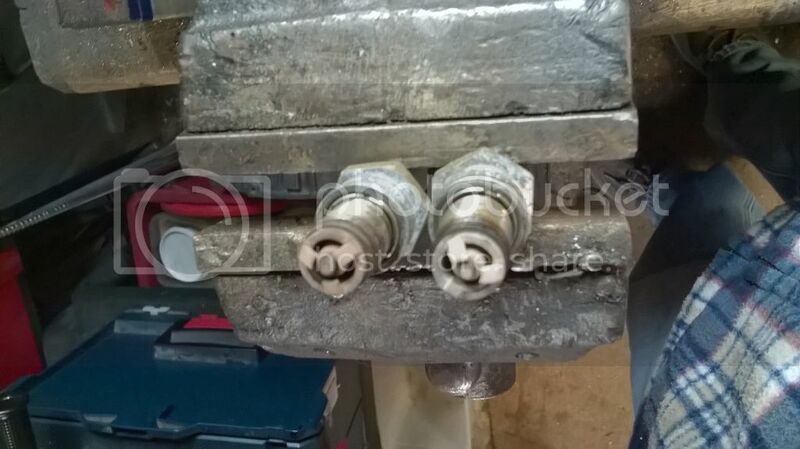 TOOL wrote: Rear chamber is lean. That is what I thought, what is the best way of rectifying this? The mixture screw adjusts both rotors so is there another adjustment for each individually or is it a carb rebuild? Clean the sparks. Make a Test drive on the primaries only. (3000U/min)Control the rear trailing spark. Clean the sparks. Make a Test drive on the secondaries (full throttle ) Control the spark. The spark is lean on both test. Rebuilt the carb. Otherwise cleaning the Primary or secondary fuel Jet of the rear chamber inside the nikki. As above. Pull the jets out and hopefully one's a bit blocked on the rear rotor side. Thanks guys, I have a spare Carb & a Re-Build kit so I think I will do a straight swap once done. DKWW2000 wrote: Thanks guys, I have a spare Carb & a Re-Build kit so I think I will do a straight swap once done. Pete do not change the two needle, seats and float. Only clean them and put a little two Stroke oil inside. I made my own caburator Kit and take dirko paper as you can read in my post. Remove the two little fuel filter before the needle they are crap. I am mounting an extern fuel filter before the carb fuel horn for a better flow.